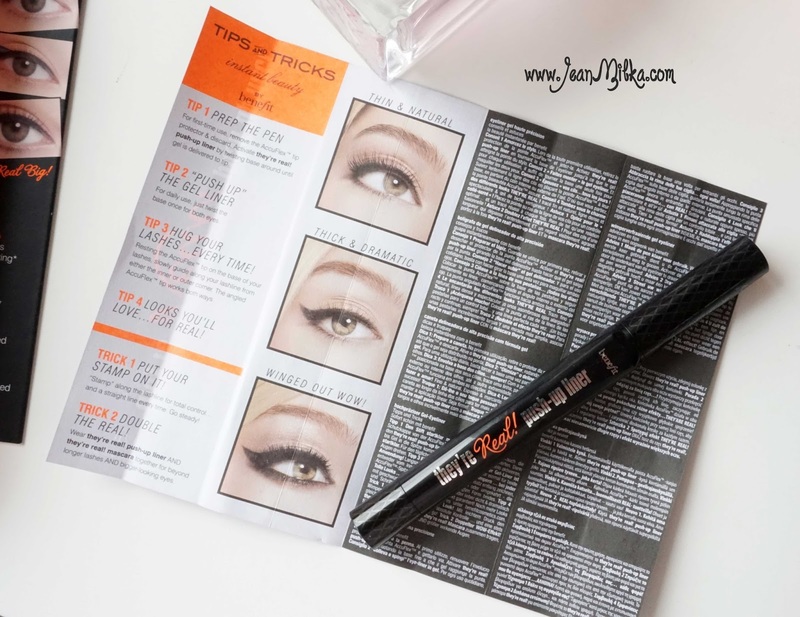 Finally it's here.. exclusive review for my current favorite eye liner which is Benefit They're Real Push Up Liner from Benefit Cosmetics. 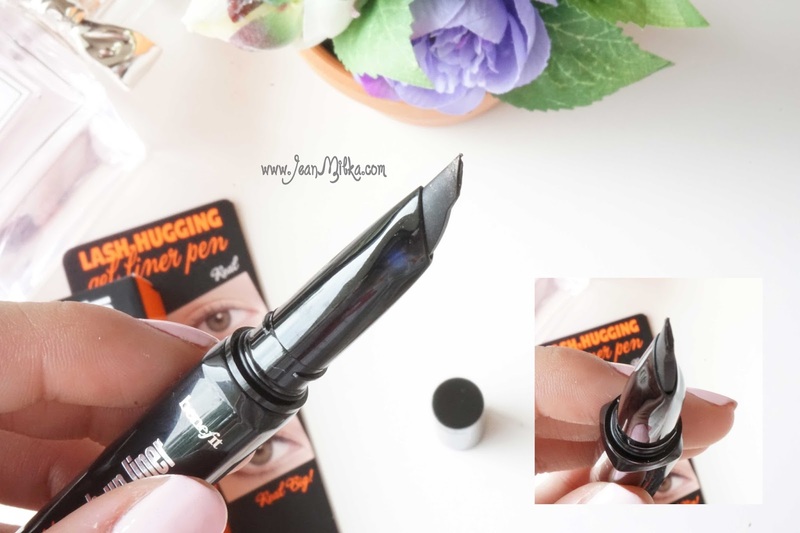 I was skeptical at first about this liner, especially since the tip is not common, so I suggest it might be hard to get thin stroke using this liner. After trying it for more than 3 times, I know that it will be part of my holy grail products. I found that it's really easy to apply after couple times I am trying. I posted couple pictures on my instagram *don't forget to follow* mention about how much I like it. First off all let's talk about the packaging. 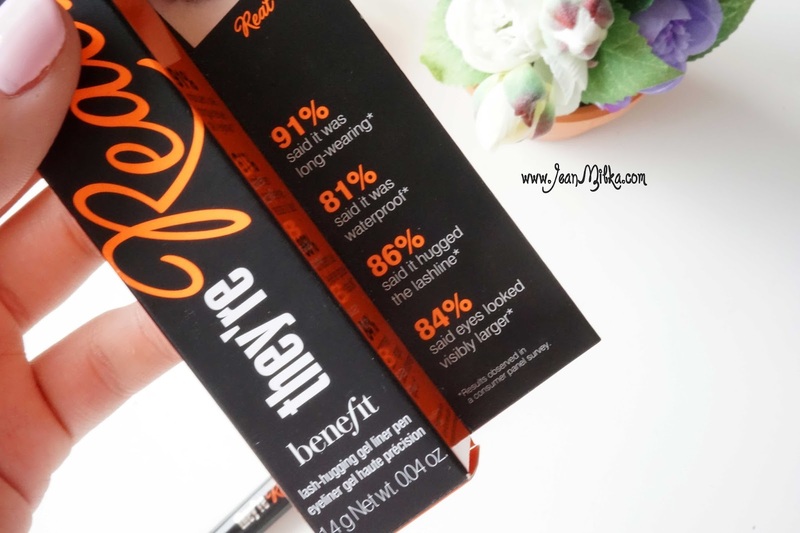 Benefit They're Real Push Up Liner is a gel liner in pen form with screw tip. I like that it comes with screw tip that you need twist to open the pen. Extra point for traveler. Main color of the design is black and orange. It's somehow reflect the bad girl image from the ad. The pen itself is not circular type, more like rectangular which is easy to grab. Fun fact is Benefit Cosmetics took time and effort to invent this product about 4 - 5 years. 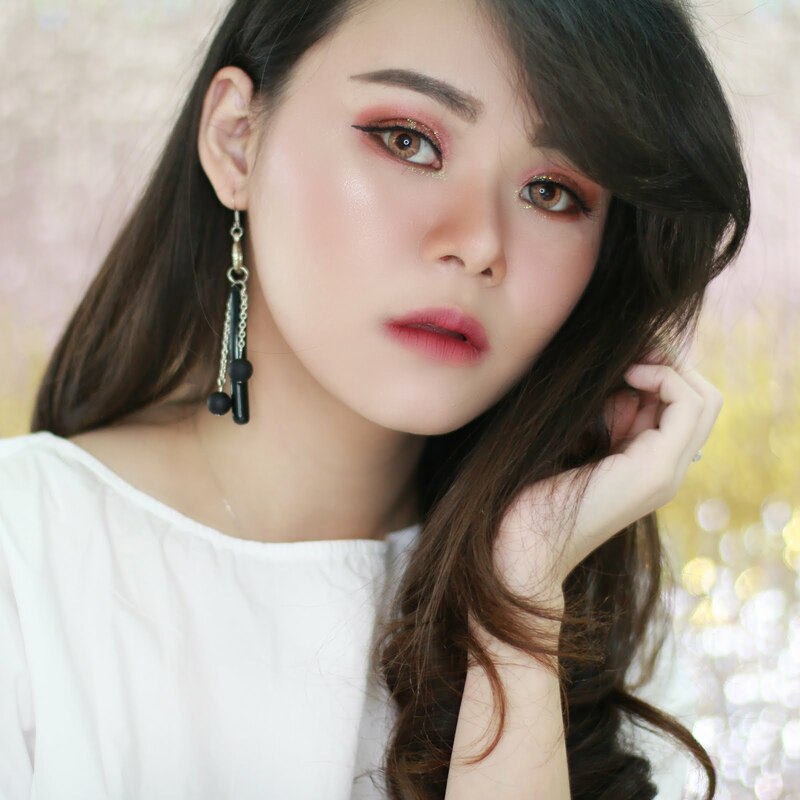 They cooperate with make up artist and beauty gurus to find the FIRST EVER lash-hugging gel liner pen. 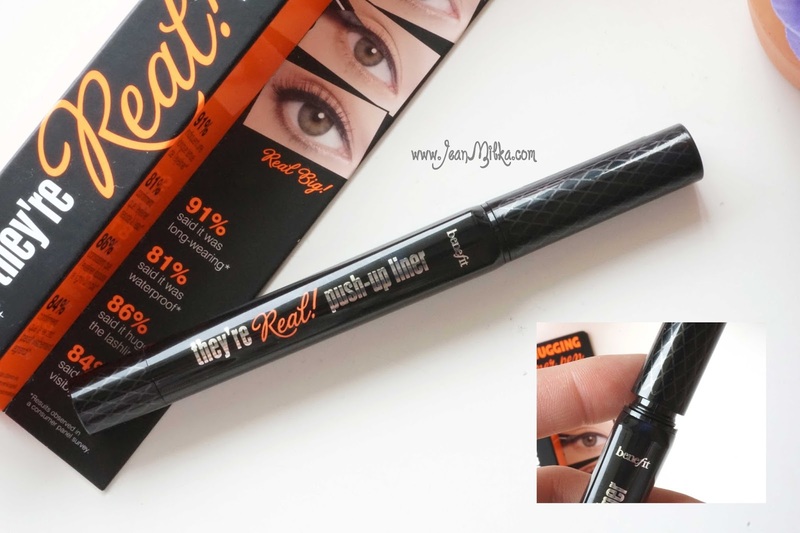 Benefit's They're Real Push Up Liner"have Accuflex tip *TM by Benefit Cosmetics* which is thin at the tip to draw an easy line, but a bit bulky at the base to push up your lashes. That is why Benefit called it as "lash-hugging" liner, the closer the line the bigger the eye. First time you open the liner you need to twist the base for couple times before the actual product will out from the tip. Don't twist to much or you will end up waste the product. You only need to twist and get minimal amount of the cream on the tip. Too much product will become a mess during the application. Also I notice that, if I twist too much, next time when I open it, there is some product that already out from the tip. 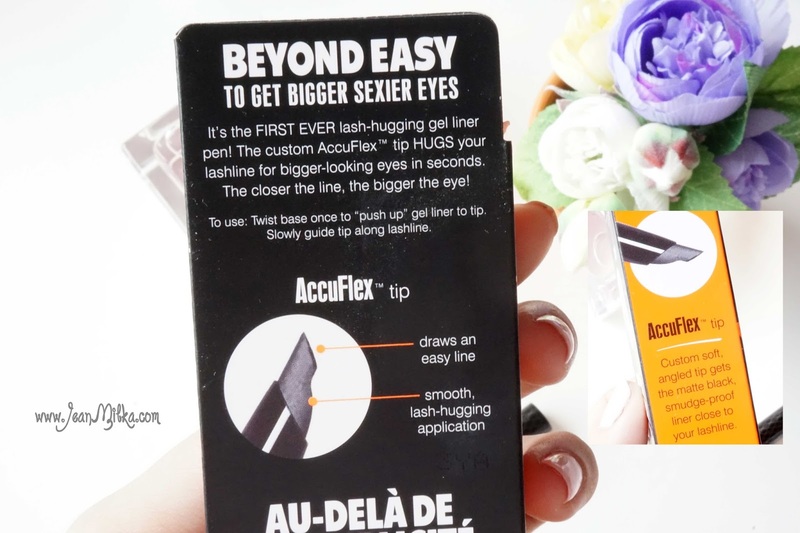 The Accuflex tip not amazingly easy to apply but it's definitely easier than regular gel liner which is in pots form. I like that I don't need to bring extra brush, but still can get the plus point of a gel liner. The product also comes with a booklet that give you tips and tricks about how to use it. What Benefit Claim? What I said? 98 % said it was long wearing and 81 % said it was waterproof. I agree that this product is waterproof. Water won't take it anywhere. But long wearing or smudge proof? emm... I have oily eyelid and I always have problem with smudging problem on my lower liner. I still experience that with this liner, but it's much better compare to another gel liner. This liner won't come off with water. Benefit have special They're Real Remover, but oil based eye remover doing same job. 86% said it hugged the lashline and 84% said that their eyes looked visibly larger. I don't usually try to tight up my last line, so I can't really tell about the "hugged the lashline" power, but I really loved how it makes my eyes looks bigger. I also think it's because of the color is jet black matte which is a very black in matte finish, it make my eyes well define. This is the blackest liner I have ever try. As you can see from the next picture, It's very black. Also you can see that if I twist too much product, there will be some kind of clump during the application. This liner is very intense and dried out too fast. Once you apply, it will hard to dissolve. So if you are beginners, you will need times to get used of it. Key point of this liner is you need to slowly guide the tip in one stroke, there will be some flaking when you apply the second layer. 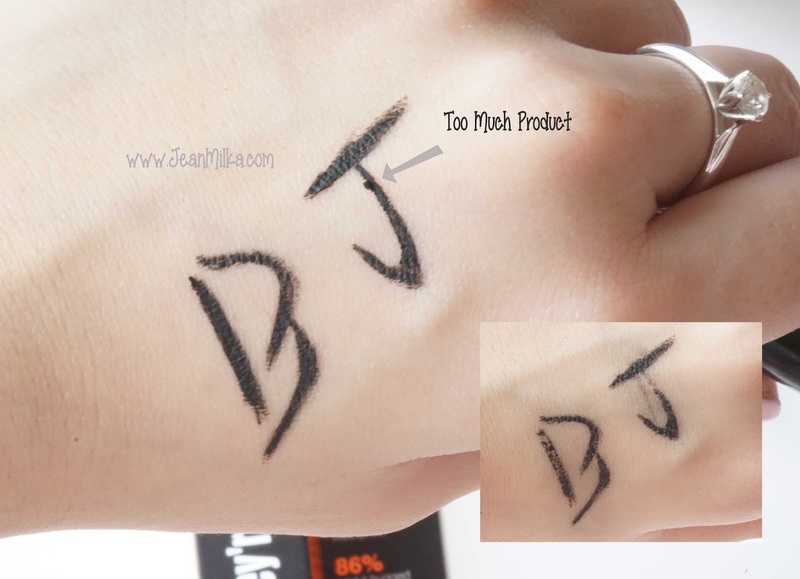 That it's why the tutorial from benefit suggest you to draw 3 dot first. You can check the tutorial here. Very black and matte gel liner in pen form. Travel friendly since I don't need extra brush. This products is very useful for me when I wear a fake lashes and I need to touch it up. Easy to apply and make it possible to create different looks or wing. Sometimes I end up twist too much product and waste it. 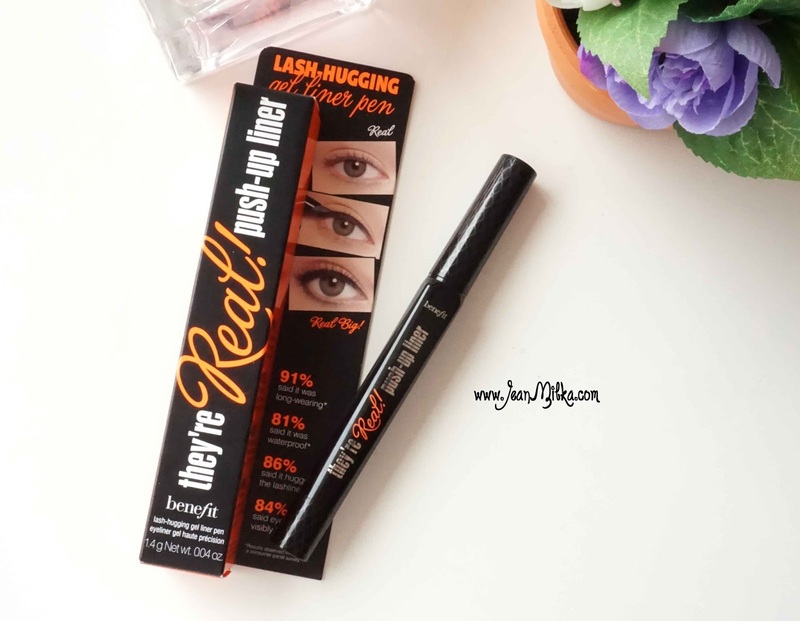 4 komentar on "Benefit They're Real Push Up Liner Full Review - Best Liner Ever"
dear, u look so sweet! i think ur hair is much better then this wig, really! omg jeee jd mangkin pgen beliiii.....!! !